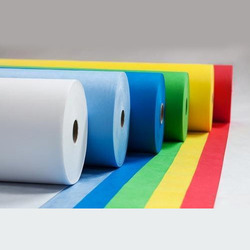 We are a leading Manufacturer of blue non woven bag fabric, canvas white fabric, colored non woven bag fabric, geo membrane hdpe fabric, hdpe bag fabric and hdpe packaging polyethylene fabric from Valsad, India. 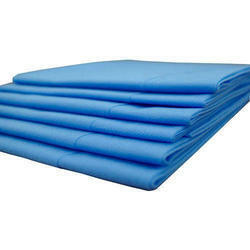 We are the leading manufacturer of Blue Non Woven Bag Fabric. We are offering Canvas White Fabric. This cloth is double stitched with rot-resistant thread. Heavy-duty, tightly woven yarn is used in the construction of the fabric to give strength and prevent paint to leak through. This natural white cotton canvas and is great for covering and protecting floors, sidewalks, driveways, equipment, vehicles. 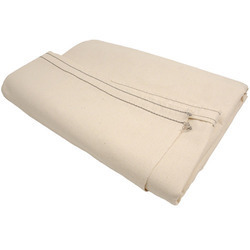 Canvas drop cloth keeps the place neat and clean and reduces cleanup time and effort. Protects valuable carpet and flooring. We are the leading manufacturer of Colored Non Woven Bag Fabric. We are offering Geo Membrane HDPE Fabric. Pond lining is covering of pond bed with geo-membrane so as to avoid seepage of liquid/water into the earth. This pond lining is made completely as per is- 15351: 2008 having very high strength values and u.v stabilisation for long outdoor exposure. We are a valid licence holder (issued by bureau of Indian standards) and manufacturer for this item as per is- 15351: 2008. We are approved by bis to manufacture pond lining in variety type 1 (250 grams per square meter minimum) and variety type 2 (420 grams per square meter minimum). 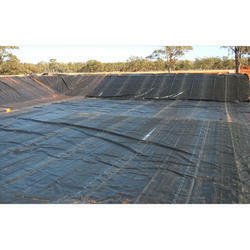 We can offer geo- membrane/ pond lining in fabric form on rolls in width of up to 300 cm. Depending on geographical location, we can also undertake laying of pond lining/ geo- membrane. Laying is joining panels of fabric to get desired dimension needed to cover the pond bed. 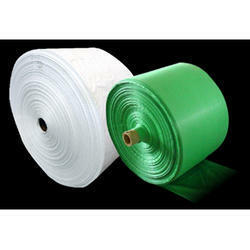 We are the leading manufacturer of HDPE Bag Fabric from Valsad India. We have with us rich industry experience in successfully meeting the production and export demands of HDPE Packaging Polyethylene Fabric. These precision designed and developed HDPE packaging sheets are constructed as per standards followed internationally that make them high on performance. Some of the benefits these packaging sheets provide include light weight finish, superior tear strength, resistance against UV, superior finish clarity and superior puncture resistance. 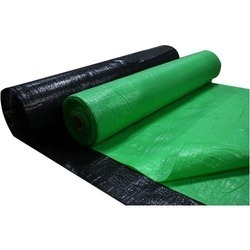 Made available in different color options, these High-Density Polyethylene Fabrics are used in applications like the wrapping of paper bundles, making bags, covering trucks industrial machines, making tarpaulin covers, used for open air storage, for storage on Ships as well as in making of tents and shelters. We are offering HDPE Polyethylene Fabric. We can offer open width fabric up to 122 inches/310 cm wide i.e. circular/tubular fabric of 61 inches/155 cm wide. On the lower side, we can offer circular/ tubular fabrics of minimum 24 inches/61 cm wide and small size open width fabric can be offered of any width with the thermal cut. We offer PE Woven Fabrics ranging from a minimum of 45 grams/square meter i.e with varying weaving mesh. These fabrics can be made in colours of your choice and requirement. We also offer UV Stabilised fabrics with customized weaving mesh. Fabrics can be offered in roll form as well as piece form. 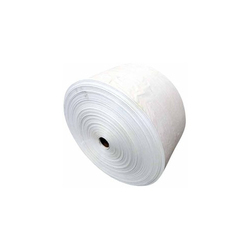 We are offering HDPE Sack Fabric. These big size bags can be used for covering big articles. Different colors of bags can be offered. We are offering HDPE Scrim Woven Fabric. We can offer open width fabric up to 122 inches/310 cm wide i.e. circular/tubular fabric of 61 inches/155 cm wide. On the lower side, we can offer circular/ tubular fabrics of minimum 24 inches/61 cm wide and small size open width fabric can be offered of any width with the thermal cut. We offer PE Woven Fabrics ranging from minimum 45 grams/square meter i.e. GSM (1.32 oz/square yard) to maximum 175 GSM (5.1 oz/square yard) with varying weaving mesh. These fabrics can be made in colours of your choice and requirement. We also offer UV Stabilised fabrics with customized weaving mesh. Fabrics can be offered in roll form as well as piece form. We are offering HDPE Tubular Fabric. We can offer open width fabric up to 122 inches/310 cm wide i.e. circular/tubular fabric of 61 inches/155 cm wide. On the lower side, we can offer circular/ tubular fabrics of minimum 24 inches/61 cm wide and small size open width fabric can be offered of any width with the thermal cut. We offer PE Woven Fabrics ranging from minimum 45 grams/square meter i.e. GSM (1.32 oz/square yard) to maximum 175 GSM (5.1 oz/square yard) with varying weaving mesh. These fabrics can be made in colors of your choice and requirement. Fabrics can be offered in roll form as well as piece form. 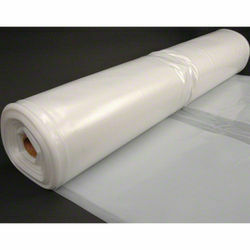 We are offering HDPE Wrapping Polyethylene Fabric. Being a common stretch wrap material, these come with enhanced stretch characteristics and are also break and puncture resistant. 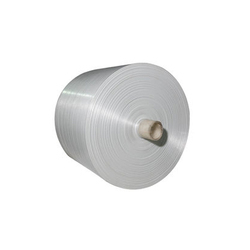 These wrapping materials also help in improving the stability of products/packages and are efficient in handling as well as storage of unit loads. Further, these also provide protection against dust and moisture as well as are tamper resistant to provide superior secure wrapping. We manufacture of High Density Polyethylene Woven Fabric on 4 and 6 shuttle circular looms of Lohia Starlinger make. We can offer open width fabric up to 122 inches/310 cm wide i.e circular/tubular fabric of 61 inches/155 cm wide. On the lower side, we can offer circular/ tubular fabrics of minimum 24 inches/61 cm wide and small size open width fabric can be offered of any width with thermal cut. 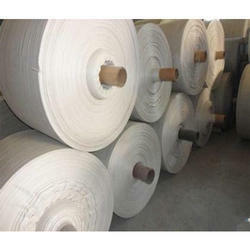 We offer PE Woven Fabrics ranging from minimum 45 grams/square meter i.e. GSM (1.32 oz/square yard) to maximum 175 GSM (5.1 oz/square yard) with varying weaving mesh. These fabrics can be made in colors of your choice and requirement. We also offer UV Stabilised fabrics with customized weaving mesh. Fabrics can be offered in roll form as well as piece form. We are the leading manufacturer of Non Woven Bag Fabric from Valsad. 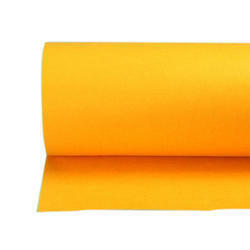 We are offering Wrapping Polyethylene Fabric. These precision developed wrapping materials are widely preferred for meeting the packaging needs of industrial products. Comprising high-density Polyethylene sheets, here our expertise lies in making these available in different sizes as well as color finish options so as to cater to the emerging industrial packaging needs. Featuring superior moisture resistance as well as smooth surface, these are perfect for packing of products like construction materials, glassware items, and others. We can offer these in attractive colors so as to meet the varied demands of customers.